Small and mid-size enterprises (SMEs) leverage an array of security technologies to protect the organization from the latest threats. But, the cost and complexity in managing these technologies as well as the amount of data generated from these devices can be overwhelming to manage and monitor. 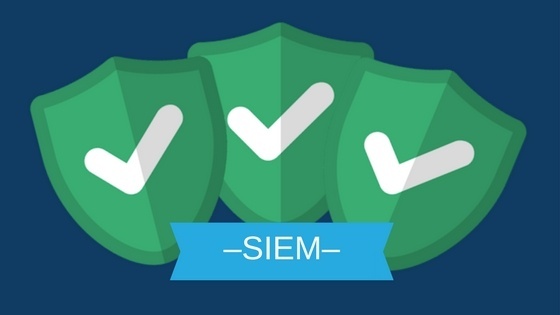 SIEM adoption is growing in popularity in the security and compliance market. But, organizations often find it difficult to obtain the benefits from this popular technology. The reason is because SIEM requires an investment in your people, processes, and technology. Without dedicated resources in each of these areas, an investment in SIEM can be a flop (like below!). Unless, you consider Managed SIEM or SIEM as a Service. What is Managed SIEM or SIEM as a Service? Managed SIEM allows an organization to quickly scale its security information an event management platform. This outsourced model improves the organization’s overall security posture, helps better manage compliance requirements, and improves Mean-Time-To-Detect (MTTD) and Mean-Time-To-Respond (MTTR). SIEM solutions can take quite a bit of internal resources or security personnel to properly setup, manage, monitor, and optimize the right alerts. If you have a small security team or one in which their time is spent on other important projects, then managed SIEM is a good option for your organization. Leveraging a team that offers Managed SIEM essentially extends their security for your current programs. Not only is having resources important but also training them to use the SIEM. Most companies want to deploy a SIEM and have it up and running as quickly as possible. They want to see results now not later. Managed SIEM drastically reduces your time-to-value. The provider can quickly deploy its own hosted SIEM for your organization or you can purchase the SIEM and the provider deploys and scales the solution specifically for your environment. In either scenario, the planning, architecture, design, and implementation are handled by the provider so that you see results quickly. In addition, with Managed SIEM, the provider can help you move beyond just monitoring alerts and begin proactively hunting for threats. Incident investigation and containment are improved because of optimizing the SIEM for your environment. And your key metrics of MTTD and MTTR are a focus for improvement. A SIEM purchase can vary greatly in terms of pricing. If you’re mid to large-sized enterprise, a SIEM could cost hundreds of thousands of dollars. A large price tag on a SIEM purchase could prevent your organization from implementing SIEM right away. Managed SIEM is typically offered as a monthly OPEX cost that is predictable and much more affordable. This SIEM deployment model also dramatically reduces the CISO’s cost of acquiring, training, and retaining in-house security resources. Looking for Managed SIEM Solution? All of the benefits above are reasons to consider a Managed SIEM environment. 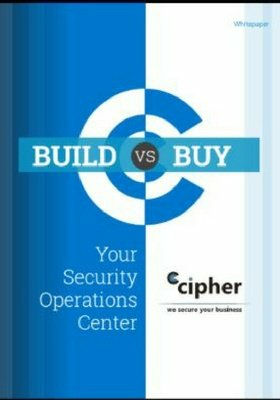 If you’re evaluating SIEM solutions, let CIPHER Security help you evaluate which SIEM is right for your organization. We have expertise across the leading SIEM tools and can optimize any of these for your organization.